I know few people would agree with me on this, but I do not think the most damaging part of the Finance Minister’s policies was the 2% tax as a lot of people seem to think. It was his public musings on the options that he was considering when it comes to pulling our economy out of the rut we were in back then-a rut that has just got deeper. One of these options sounded rather alarming to 2008-era veterans who had undergone Gono’s reign of turmoil and confusion. 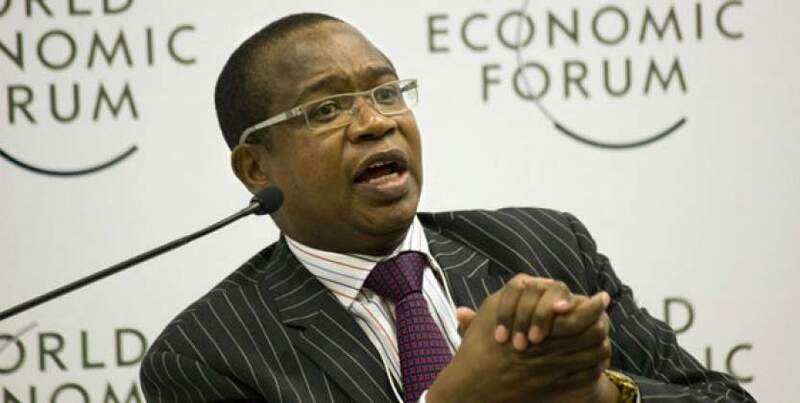 Mr Ncube was considering demonetisation of the bond note and returning the economy to dollarisation. He said it all out loud without saying exactly how he intended to do that or even if he was in favour of that option. Some of us have seen demonetisation before-thrice. All three times it was not pretty and the first time was especially traumatic to some of my relatives. In July of 2006 the smug faced Governor of the Reserve Bank launched operation Sunrise. Under the operation people had three weeks to exchange their old currency which had many zeroes in return for a new currency. With a cruel smirk on his face the Governor said that this operation was meant to expose and swat cash barons who were again back then being blamed for ruining our beloved economy. Anyone found with large amounts of money would have to explain the origins of his wealth or it would be forfeited to the state. We all heard news of how the ruling party’s allies from countries such as China and India who run businesses in town were caught unawares. Even though they were leading the cash baron squads they got a pass probably out of political expediency. A well known wholesaler, they are still around, was found with billions (maybe it was trillions or something else it’s hard to recall but it was an eye popping amount even in those days) and got a pass. The ordinary man on the street got to bear the brunt of this ill thought policy. Banks were just as snob and uppity as they are now and there was no Ecocash, Telecash or Onemoney to the rescue. People in remote areas and those without bank accounts were trapped and did not know where to get the new money. Banks are many kilometres from where my grandmother lived and there was only one little bank branch remaining even in that town as most had cut back on branches to save costs. A lot of people did not even get the message on time as the callous governor refused to back down. The result was that a lot of hard working men and women lost their entire savings on the whim of an arrogant man who went on to wreak more havoc in his time. The governor was the man and as often happened during his reign his Fiscal partner in crime was a pliant weakling who cowered to his will. No minister in their right mind would have allowed Monsieur Gono’s irresponsible Quasi-fiscal policies without a fight. Even back in the 2008 era the government kept ruining people’s lives with ruinous policies and blaming people for their own plight in a show of arrogance. So when people heard the words the “bond might demonetised” they stopped thinking and went on a rampage. No one wants to be the sucker twice let alone four times. In some of the WhatsApp groups I frequent people recounted their 2006 horror stories. People would rather fill their houses with things they will never need rather than see their money turn into dust. Again the Monetary Authorities did not help matters when they ordered banks to separate accounts. To many people that was further irrefutable proof the government was planning something nefarious like stabbing us in the back as they have done countless times before including when they lied again and again about economic policies or even cooked up metrics. They even lie about the exchange rate on a daily basis like they did back then. They lied when they said the bearer’s check was temporary. They lied that the Special Agro-check was for farmers and yet before that year was out we were using it to buy bread. There was nothing special or agro about this. They lied about the bond notes too and the intransigent current governor continues down the same path. Here was another Gono-Murerwa partnership. The only change was the Finance Minister was the stronger one. After a disastrous two months the Finance Minister gets a do over today. This is as close to travelling back in time as it gets. I have a feeling if his budget is good enough he it will get him all the forgiveness he needs. But if the budget is not well received, then God have mercy on our souls. The problem is that Africans in general and Zimbabweans in particular are consumers of anything and not creators. Academic Professors are thought to be the solution to the country when the solution faces everyone right between the eyes. You are not alone in your analysis of the arrogance of those that test power, the evil and cruel that even go to the extent of killing just to remain in power. Forgive my skepticism – I doubt that Zanu PF (with all the professors, fake, real, stupid etc) will ever resolve the financial mess they themselves created because all of them combined, lack the balls required to implement and maintain the simple arithmetic required. [r=Revenue, e=Expenses…and e<r must always hold true]. It is a pity that a good number of Zimbabweans are so gullible to overate these cruel low-lives, fraudsters and thieves. Just count the number of cases of high-level political fraud between Jan 2018 to date and the amounts and modus operandi involved and the lack of implementation of sytsemic checks and balances, it's like a brand new concept to them!! I will personally never believe in Zanu PF pie-from-the-sky, it has never materialised in the past 4 decades. I think it was better to demonetize bond notes now than later. Bond notes are still being printed in large quantities, and their hoarding goes on.How will it end? mbgavha dzevanhu, now they have left us without an exchnage rate for USD to Bond, yet they want people to PAY for DUTY on vehicles in USDs, where do they think this USD will come from?